You are currently browsing the Short and Long Of Home Renovation blog archives for May, 2009. 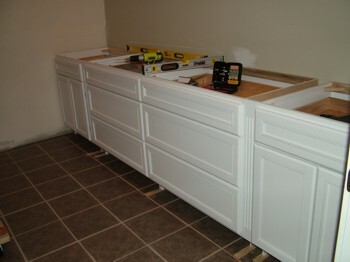 If you want to install your cabinets yourself, Askthebuilder.com has a column explaining cabinet installation. This entry was posted on Friday, May 22nd, 2009 at 10:34 pm	and is filed under Cabinets. You can follow any responses to this entry through the RSS 2.0 feed. You can leave a response, or trackback from your own site. 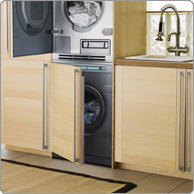 The embedded video below shows some of the importance of becoming more energy efficient. This entry was posted on Monday, May 18th, 2009 at 9:59 pm	and is filed under Uncategorized. You can follow any responses to this entry through the RSS 2.0 feed. You can leave a response, or trackback from your own site. Diystuff.com has tips for renovating your bathroom. These tips will lower the costs that it takes to do the job. This entry was posted on Sunday, May 17th, 2009 at 9:59 pm	and is filed under Bathrooms. You can follow any responses to this entry through the RSS 2.0 feed. You can leave a response, or trackback from your own site. If you want to save money buying energy efficient appliances, you EnergyStar.gov sells all sorts of appliances including washers, dehumidifiers, and dishwashers. This entry was posted on Sunday, May 17th, 2009 at 9:58 pm	and is filed under Appliances. You can follow any responses to this entry through the RSS 2.0 feed. You can leave a response, or trackback from your own site. If you have a pool, and you need (or want) a part or accessory, you can find them at SPP. You can also buy your pools there. This entry was posted on Sunday, May 17th, 2009 at 9:57 pm	and is filed under Pools and Hot Tubs. You can follow any responses to this entry through the RSS 2.0 feed. You can leave a response, or trackback from your own site. If you don’t know how important the air quality of your house is, read this. It will give you some tips to improve your indoor air quality and show why it’s important. This entry was posted on Thursday, May 14th, 2009 at 9:36 pm	and is filed under Uncategorized. You can follow any responses to this entry through the RSS 2.0 feed. You can leave a response, or trackback from your own site. Home Care Maintenance Services can care for your home. They will make necessary repairs or fix problems before you have to worry about them. This entry was posted on Sunday, May 10th, 2009 at 9:59 pm	and is filed under Maintenance. You can follow any responses to this entry through the RSS 2.0 feed. You can leave a response, or trackback from your own site. If you need countertops for your home, Cheng Concrete Countertops can be your solution. If you need to, you can build it yourself. This entry was posted on Sunday, May 10th, 2009 at 9:59 pm	and is filed under Contractors. You can follow any responses to this entry through the RSS 2.0 feed. You can leave a response, or trackback from your own site. If you need to remodel your bathroom, this service can help you. You can chose what you want to change and how much work has already been done. This entry was posted on Friday, May 8th, 2009 at 10:02 pm	and is filed under Bathrooms. You can follow any responses to this entry through the RSS 2.0 feed. You can leave a response, or trackback from your own site.